The owner has relocated and this home will be sold at auction. Nestled at the end of a cul-de-sac is this appealing gem of a home. Solid and stylish this 1940s home incorporates sunshine and character with gorgeous wooden doors, window frames and polished floors. The lovely light-filled two bedrooms are both doubles. The floor plan provides both dining and lounge space in the central generous living area with good views towards the hills. The cute kitchen is packed with originality and charm and leads through to the large separate laundry. A heat pump, DVS and beautiful drapes are some of the pleasing extras this home offers. Outdoors is similarly charming with herbs, planter beds for veggies, and peach, feijoa and apple trees. The sun-trap of a yard is a delightful spot to linger. A covered portion of the patio provides shelter for bikes and bins. On its own freehold title this semi-detached home provides fabulous all day sun and a lifestyle where you can live big in a small home. 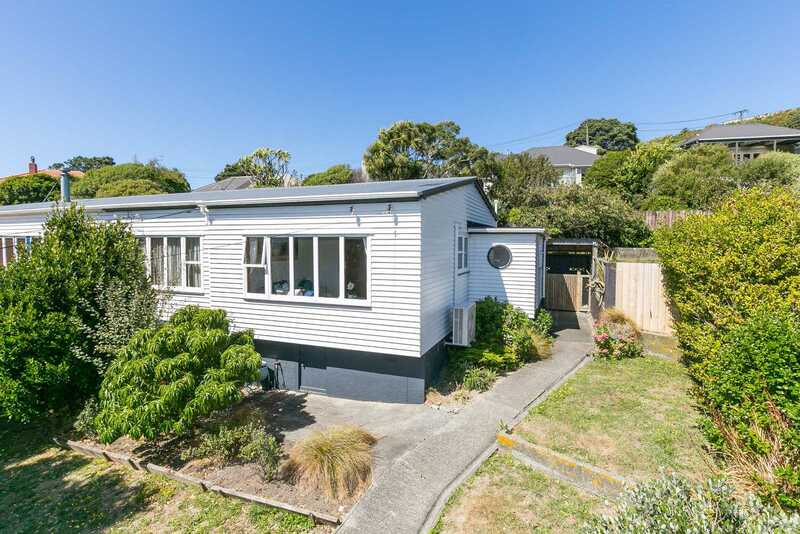 AUCTION: Friday, 29 March 2019 at 12:00pm, Harcourts Wellington City Office (Not selling prior).